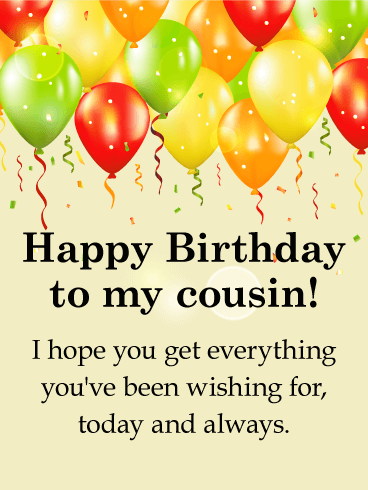 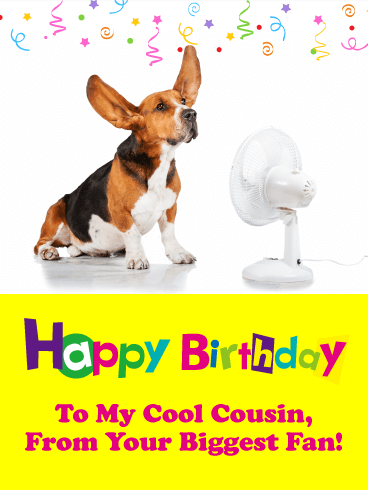 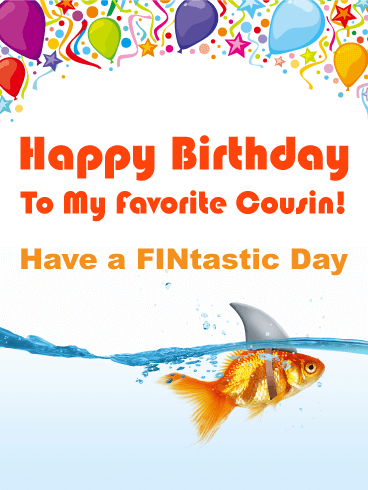 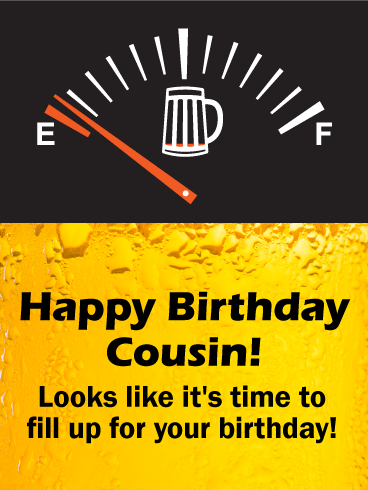 Happy Birthday To My Cousin! 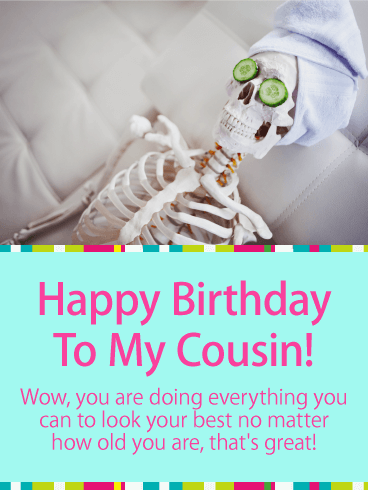 Wow, you are doing everything you can to look your best no matter how old you are, that's great! 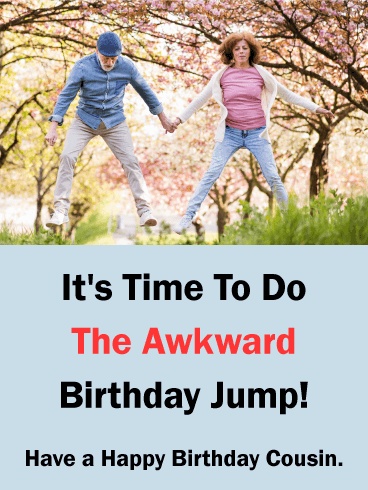 Everyone has their own special way of celebrating their birthday. 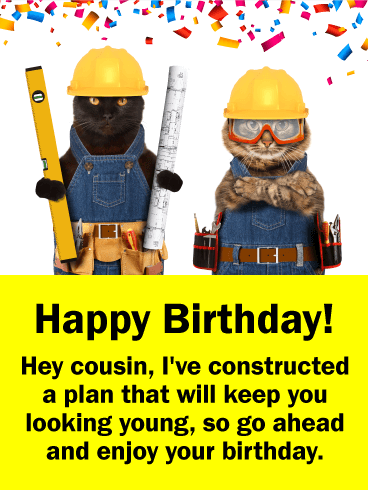 This birthday card is a warm reminder of that. 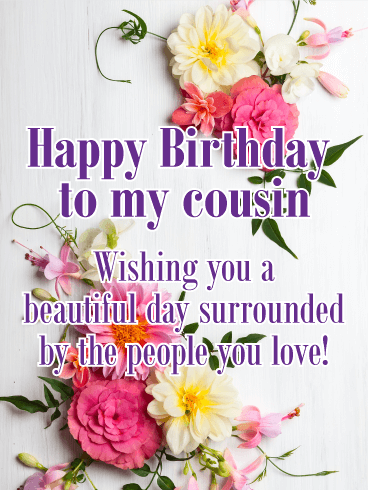 Pretty floral touches surround the sentimental words inside, letting a dear cousin know to do what makes them most happy on their special day. 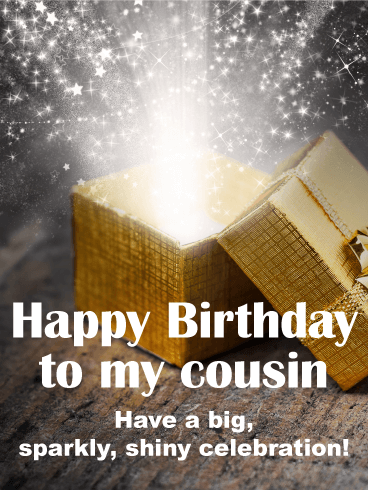 A burst of shining light comes streaming from a golden gift box, setting the scene for a magical birthday! 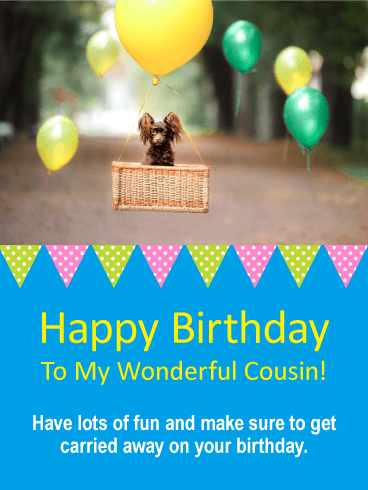 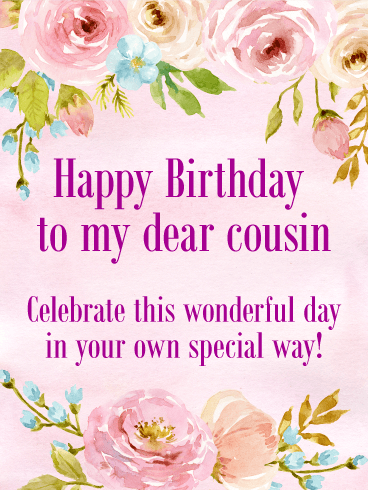 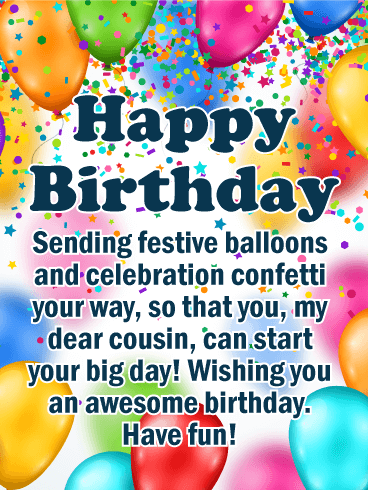 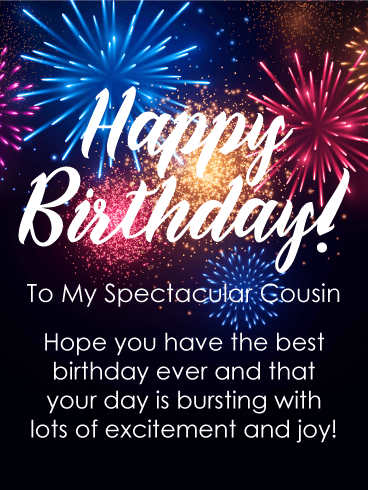 This whimsical card for a special cousin is filled with all the wonder and excitement this day brings, while wishing them a "big, sparkly, shiny celebration!"